Project Title: I Like Veggies Now! 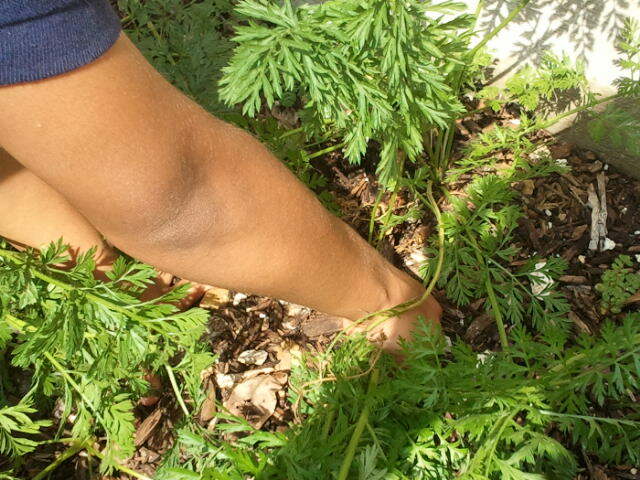 We planted our carrots in February, because that’s the best time to plant carrots in Texas. When we planted the carrots we read on the back of the package, that you plant the seeds of the carrot three inches apart. Next it was time to water. I researched that you are only supposed to water carrot seeds one liter a week. Sometimes when you over water a carrot it gets short, big, and fat. When it was time to pull the carrots out the first carrot turned out to look pretty good, but then the next carrot was short, big, and fat! The last carrot was really small. I knew something went wrong. Some carrots were just right. We ate those. 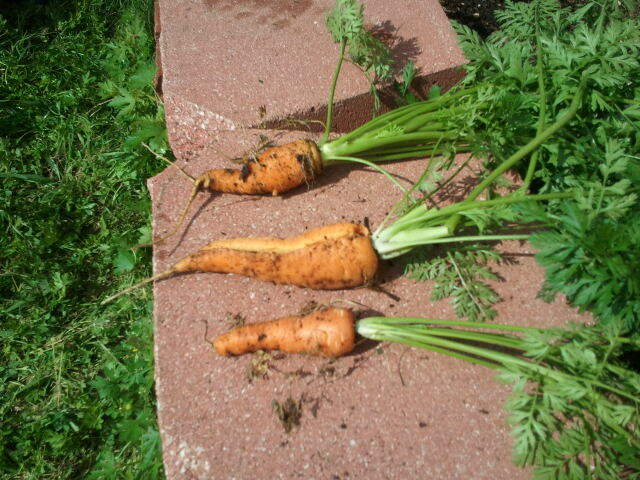 The carrots that weren’t the right size we put them in the composter to make rich soil. The carrots that we ate were not like store-bought carrots because they tasted fresh and looked fresh too. They had so much flavor the students who said they don’t like carrots actually wanted more! Just by the taste we knew we did a good job taking care of them. A couple of carrots were nibbled on and that was when we realized we weren’t the only ones who enjoyed those carrots! 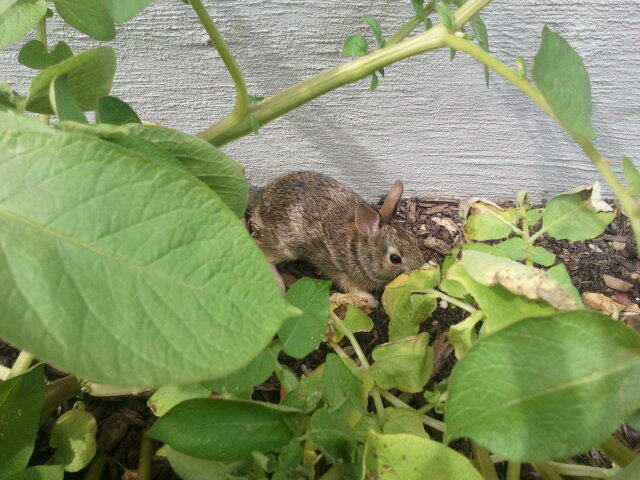 Our little bunny friend ate our carrots and kept coming for more! So we had to harvest them fast.